Bellport is an incorporated village within the Town of Brookhaven. It was founded by Captains Thomas and John Bell in the early ninteenth century, and used predominantly by farmers, sailors, and fishermen. Fishing and whaling were its chief economic facets for much of the village's early life. In 1906 the village saw the establishment of its own yacht club and, four years later, it became officially incorporated. Today, the Bellport Bay Yacht Club is one of the most active such clubs on the south shore. Bellport is currently served by the South Country Central School District, which contains three elementary, one intermediate, one middle, and one high school. The village is governed by a mayor and four trustees, all of whom are elected to two year terms. Several people of note have resided in Bellport over the course of its history. Oliver Robertson, inventor of ball bearings, and Elmor Sperry, inventor of the gyroscope, were both early residents of the village. PulitzerPrize winner Mike McAlary and physicist William Higinbotham both lived in Bellport, as did Jacqueline Kennedy. NBA player Randy Smith attended Bellport High School, and Superbowl champion New York Giant Tiki Barber owns a summer home within the village. 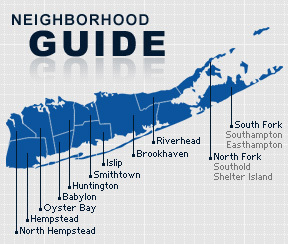 As of the 2010 census, Bellport had a population of 2,084 with 921 households and an average of about two and a quarter persons per home. The median household income was $80,724 with males making $81,845 and females $56,875.